The Airborne Laser May Has Risen Again Turning California Into Ashes! The Airborne Laser program can be traced back to the Reagan years, and after billions in development dollars were spent and a custom-built 747 prototype was built, what was to be a super-weapon that could shoot down ballistic missiles over their countries of origination turned out to be a super-flop. Now, with the drastic advances in laser capabilities over the last half-decade, the Defense Department wants to resurrect the airborne laser, albeit in a very different form. Inside the YAL-1 a series of SUV sized tanks filled with the chemicals needed to drive its Chemical Oxygen Iodine Laser (COIL) lined its cargo bay. 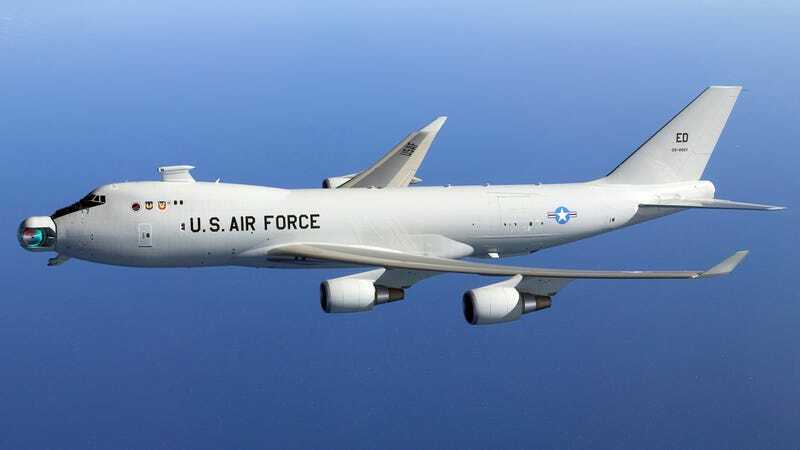 Eventually, this complex and massive system would have enough chemicals onboard for 20 shots, and the 747-400 platform, known as the YAL-1 in testing, could be refueled in the air for long duration orbits near enemy territory. Although the YAL-1 was an impressive looking weapon system, and on paper, it seemed like an amazing capability to have, it never came near to achieving its design requirements and it was plagued with problems during testing. Now with the advancements in solid-state lasers, which are much smaller than their chemical cousins, and with development programs that are seeking to mount them on everything from AC-130 gunships to fighter aircraft, the Pentagon is looking at procuring a new airborne laser. This one would be unmanned and fly at much higher altitudes than its 747 grandfathers. A new Airborne Laser’s core mission would still remain largely the same as its predecessor: shooting down ballistic missiles, especially the medium and short-range kind, during their vulnerable and high-infrared signature boost phase. 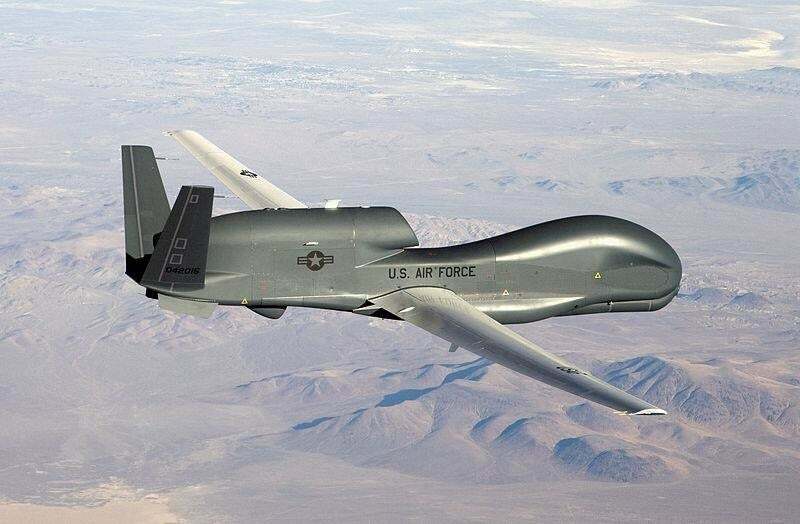 By placing such a system on a high-flying unmanned aircraft, it would be much less expensive to operate and it would have better endurance than a manned alternative. Additionally, its laser would have better range due to having less atmosphere to fire its through via its higher operating altitude. There is also the possibility that such a system could be packed into a stealthy high-altitude, high-endurance unmanned aircraft. The system would be able to work inside enemy territory and could have other information, surveillance and reconnaissance roles to perform while also providing laser ballistic missile defense. A stealthy, high-flying, long-endurance aircraft is said to be flying today out of Area 51. Known unofficially as the RQ-180, this aircraft could be a surrogate for a penetrating laser missile defense concept as described above. They have a long ways to go, but power increases are happening at a startling level in the solid state laser world, with militarized systems approaching 75 kilowatts today. Another huge hurdle will be making a usable system light enough to be deployed on a high-altitude unmanned system. 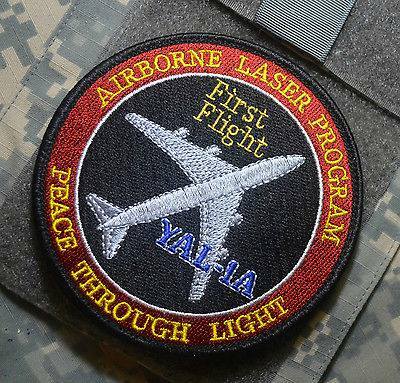 The YAL-1 airborne laser generated a kilowatt of laser power per 55 kilograms of weight. That is why a 747 was needed. Today, electronic solid state lasers take about 35 kilograms per kilowatt, which may be acceptable for a cargo aircraft or a ground-based close-in air defense system. But the Pentagon wants to cut this weight to kilowatt ratio down by a factor of ten in order to be powerful enough and small enough to fit into a high-flying drone. If fully developed, the potential of such a system is incredible. Not only could it shoot down enemy ballistic missiles during their boost phase hundreds of miles away, but it may also be able to disable aircraft and even very soft ground targets on demand from similar distances. Such a system may even be able to defend itself against potential missile and aircraft attacks, something we know is already in the works today, albeit for medium and shorter-range engagement focused combat aircraft. 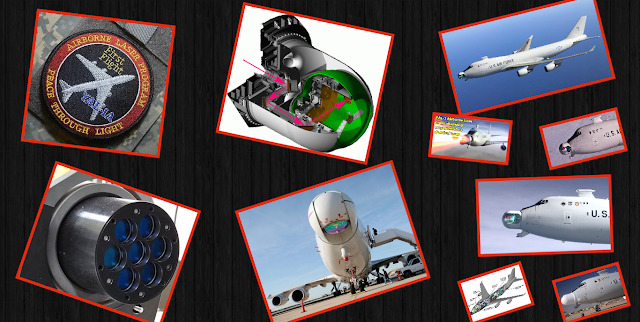 Because its laser would be electronically powered the drone could have a magazine only limited by the jet fuel it carries, with each shot costing tens of dollars, not thousands of dollars like a chemical laser or even hundreds of thousands of dollars or millions of dollars like traditional guided kinetic weaponry. If such a laser that has to operate within the atmosphere could be realized, it opens the door for a similar system to be loaded onto a satellite, or even a small space plane. 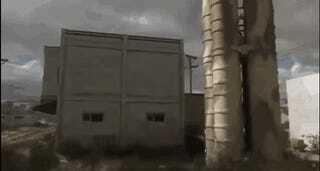 There it could zap and disable enemy satellites without causing clouds of space debris. In fact, a drone flying at 60,000 feet may be able to direct its laser upwards to disable low orbiting enemy satellites, alleviating the need to launch such a system into space at all. If we have learned anything, the airborne laser concept is just too sweet of a fruit for the DoD not to nibble on, and after just a handful of years of being put into intellectual mothballs, it is no surprise that it is being dusted off and resurrected once again. This time though it actually sounds like the Pentagon has a shot at making its missile zapping dreams a reality.